Have you ever seen a dog wearing glasses? No? Don’t worry; you are not the only one. Half a year ago there was (probably) not a single civil bespectacled dog in Poland. Probably it would be continued, if Donner wouldn’t be diagnosed with a chronic eye’s cornea inflammation AKA keratitis or, pannus, being allergic to the sun. 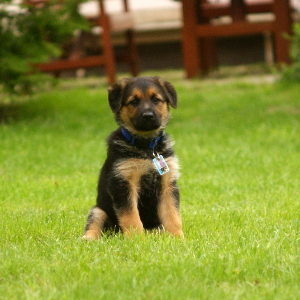 This disease is a very rare condition, which most often affects shepherd dogs. The conditions reveals with the blood vessels located in the eyeball growing into it. The UV rays lead to pigmentation and forming of a membranous outgrowth, which grows on the eyeball and limits the vision. The disease is very difficult to diagnose in the early stages – it’s almost invisible, because it doesn’t give symptoms. 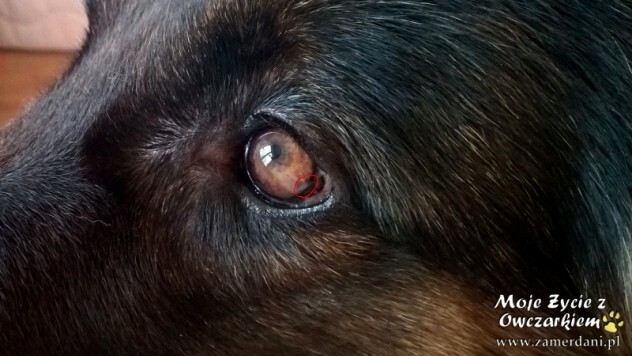 Only the trained eye of a veterinarian ophthalmologist (or a person, who already had contact with this disease) will be able to see the first changes. In the advanced stage the affected dog’s eyes are almost completely black, with no radiance – as if they were covered with a hide-like growth. After appearance and confirmation of first symptoms the only thing left is a long treatment – and fight for the vision, for the dog to keep the vision as long as it’s possible. 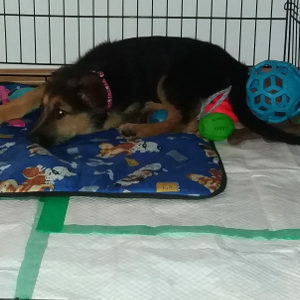 The basis for the treatment is a systematic administration of eye drops (including steroids), sometimes operations, the most important thing is to reduce the dog’s stay in the sun. How can you limit the time your dog stays in the sunlight? 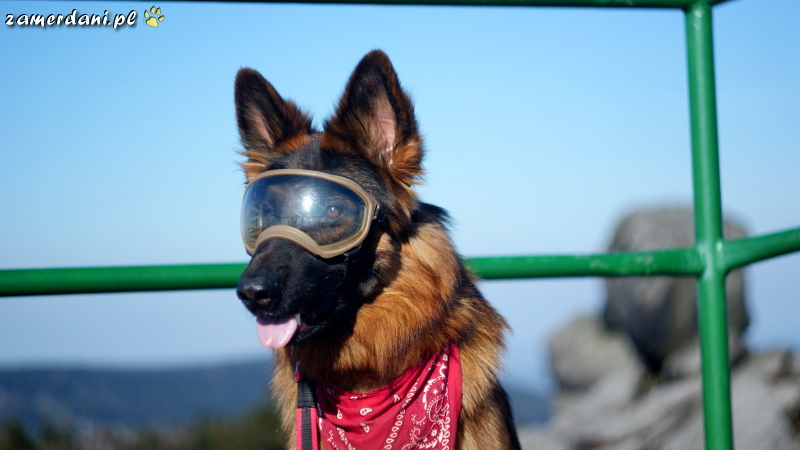 The dog goggles Rex Specs K9 are the solution. Is it worth to invest in this product? From my experience I can tell you – YES. 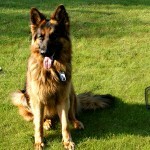 This disease is very rare, but I’ve had the bad luck – my former shepherd, Budzik, also suffered from keratitis. 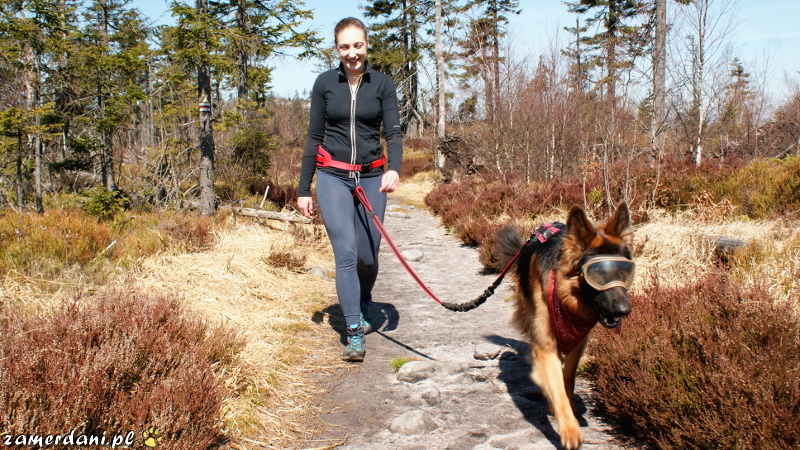 I didn’t buy the glasses in his case – 4 years after the first diagnosis, at the age of 10, my dog almost lost his vision. The eye drops slowed the growth building, although they didn’t stop the disease. After I’ve learned about Donner’s condition I found the glasses – I had to try something other than the eye drops, because they are not able to cure the dog. I’ve chosen Rex Specs K9 because of usability. 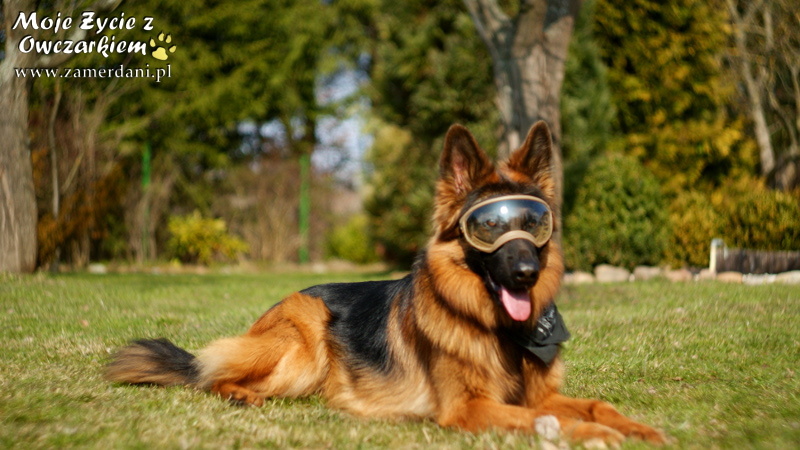 There are many models of dog goggles, but not all of them have UV filters, which protect dog’s eyes. 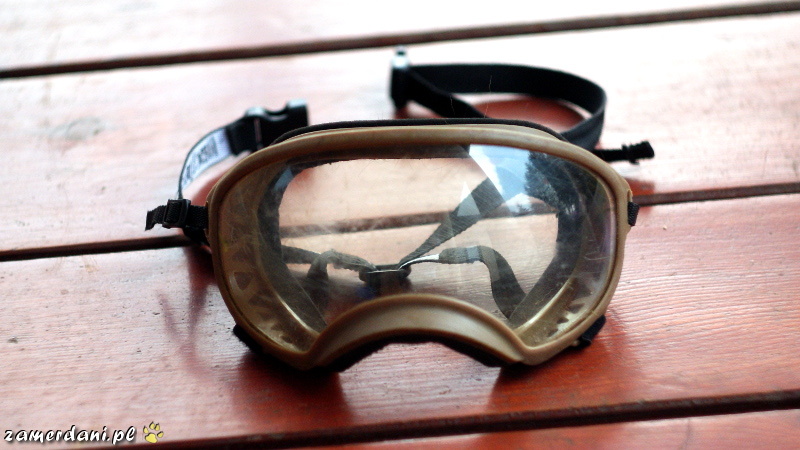 Like in the sunglasses – only the darkened glass does not help in the eye protection. 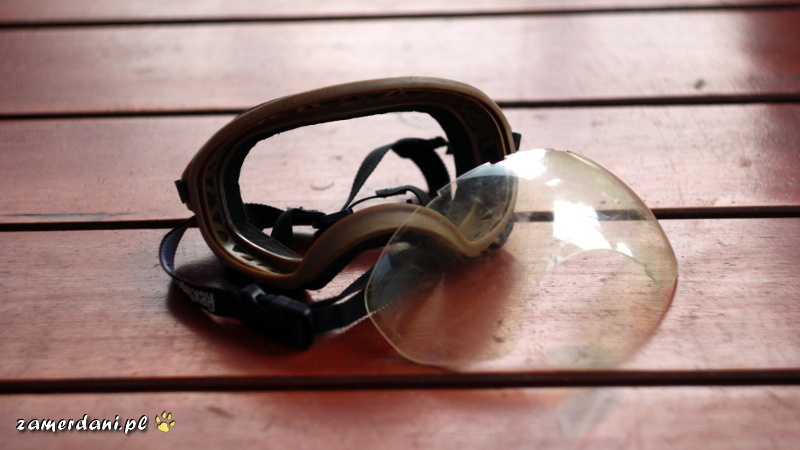 The second reason for Rex Specs was the shape – like ski goggles. It seems to be more practical and comfortable for the dog than the style of swimming goggles. 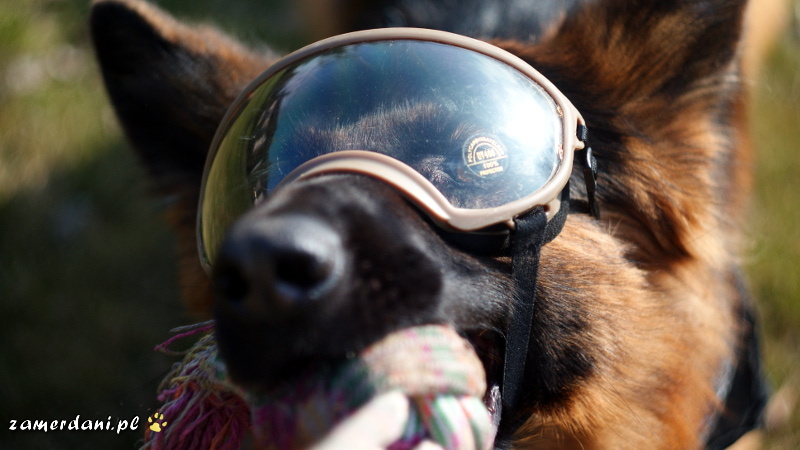 Most important: Rex Specs goggles are used by dogs on missions, dogs working at airports or in other services. 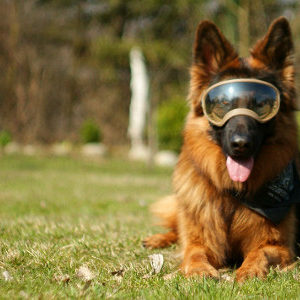 Those goggles protect eyes from the sun, sand and wind, giving the dog the appearance of a fighting dog. 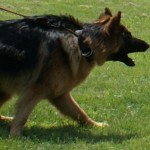 They have also been tested by hundreds of dogs all around the world. It’s also not difficult to grow in the dog a habit of wearing glasses – it’s like teaching the dog, how to wear a muzzle. The glasses are not troublesome, they do not limit the vision, dog will be able to accept them very fast. Glasses are made very carefully. Holders are made of flexible, durable plastic and are available in many colours. 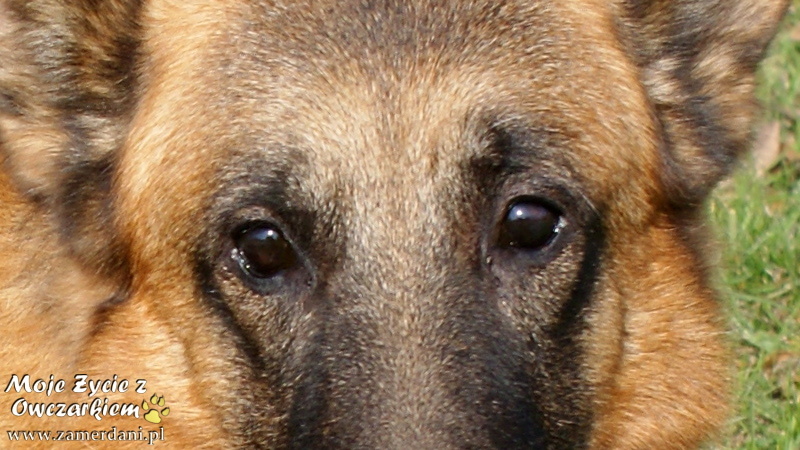 Bottom frames, which are adjacent to the dog’s nose, are covered with a soft sponge. The holders have also numerous holes, covered with mesh. It helps to reduce the evaporation and prevents the sunlight penetration. The „glasses” are made of thick, durable plastic and are also available in several colours: clear, tinted, black or mirrored. The glass can be easy removed and changed or cleaned. They can be washed with water and soap or with the wipes for eyeglasses. 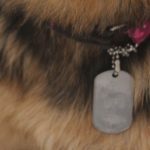 The material is breakage resistant, but we are not able to avoid scratching them – especially when the dog is just getting the habit of wearing them or stays alone, for example in the garden. Before the first application you can teach the dog to wear the holders. After the installation of the glass you can find some sort of protective film to stick to glasses. 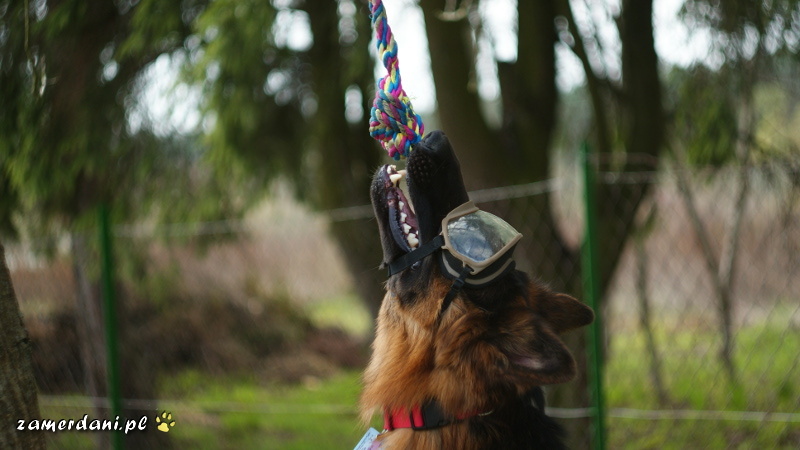 The goggles are mounted on the latch behind the dog’s ears – just like a muzzle. 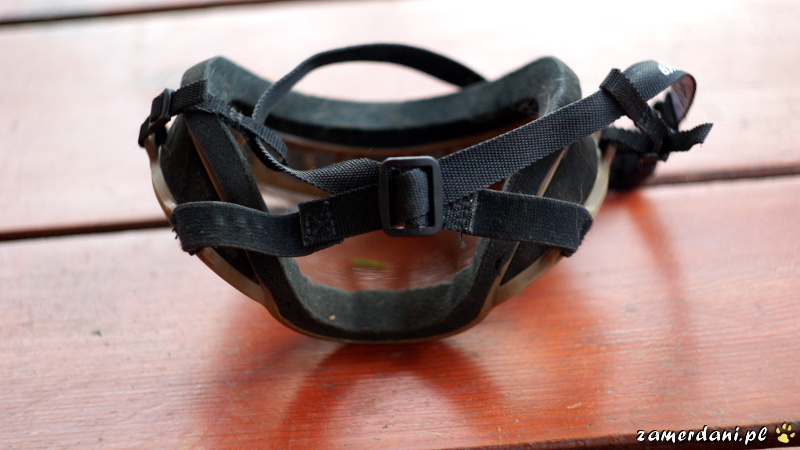 The second strap, made of rubber, is mounted under dog’s chin – it helps the goggles to stay on dog’s eyes, not to move and to return to their place after each attempt of their removal. 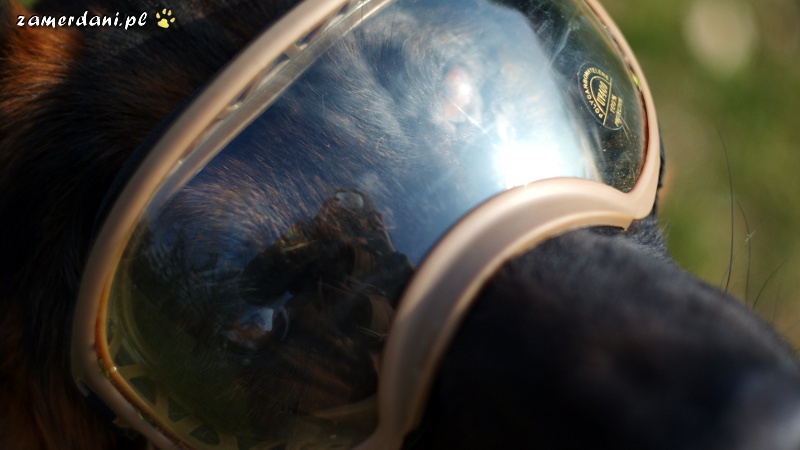 The fitting with some muzzles can be difficult; fortunately there are models, which fit with the goggles. The product itself is very interesting, relatively expensive and yet not available in Poland – they have to be brought from the US or from the UK. Very good! 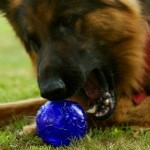 Many people are often fascinated with the dog’s gadgets; they buy them, even when it’s just unnecessary. I guarantee – your dog wouldn’t buy the glasses, if he would have a choice. Don’t buy them, before you are sure, that this is necessary. 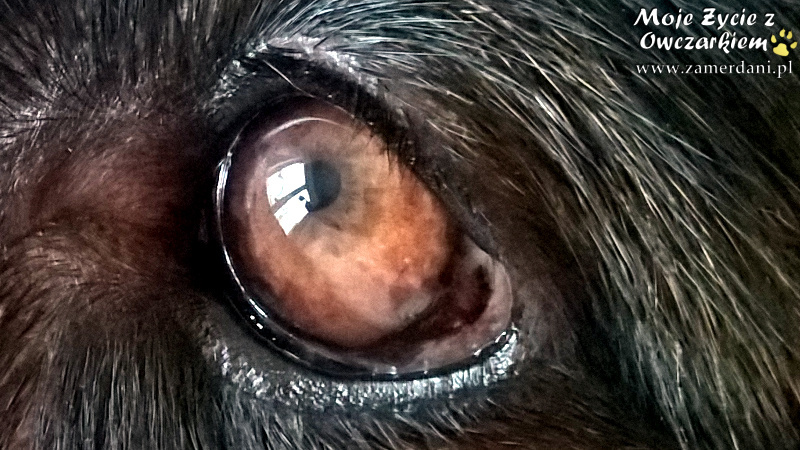 Despite the misfortune of this disease I am glad, that so many shepherd dogs owners began to be interested in the chronic keratitis. I created this article also for you – I hope, it will answer the frequently asked questions about this disease, its development, about the glasses and whether they are worth buying. Yes, they are worth it. I know the end of this disease. 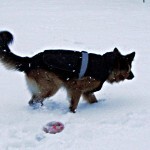 If you can slow it down and prolong the dog’s vision – you should do it. Keratitis is not a judgment – but don’t underestimate it. Thank Paul von Wentzl for the translation. We are waiting for Poland! the cost (including shipment) is about 350 PLN. Wścieklizna, szczepienie, zaginiony pies – rozwiązanie DogID! 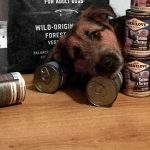 SafePet – identyfikatory XXI wieku? Previous post Rozwód z kolczatką – rozliczenie z przeszłością.